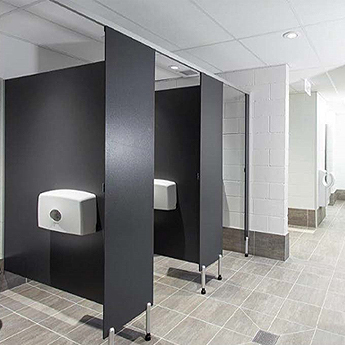 Dotmar has traditionally focused on the application of plastic materials in the fields of engineering and industrial product design and is now expanding its product offering and entering the world of the architect, designer, builder and construction professional. 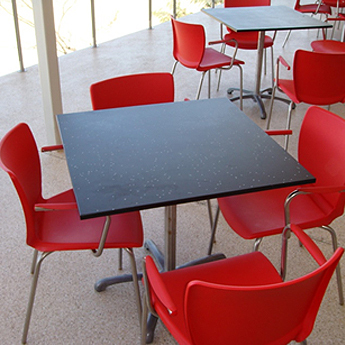 Dotmar offers a range of thermoplastic materials specially tailored to these environments. 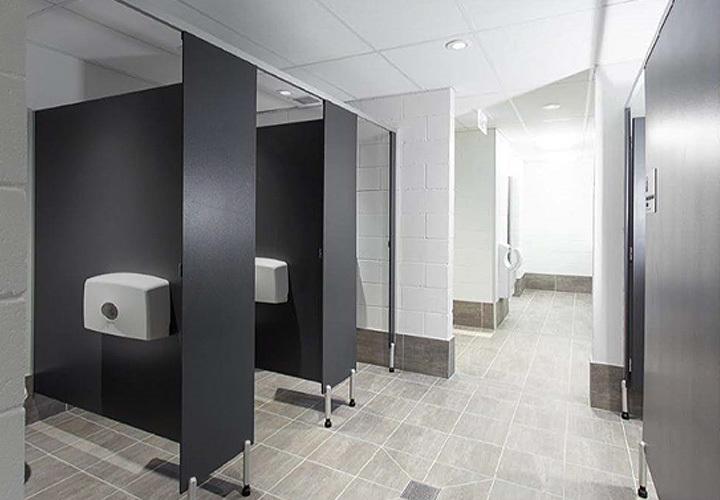 Thermoplastic is one of the most resource efficient and versatile materials in use in the world today and though not always visible, it is indispensable in the architectural and building industries. Thermoplastics have a number of vital properties which make a significant contribution. Architectural plastics can be used in the following applications. 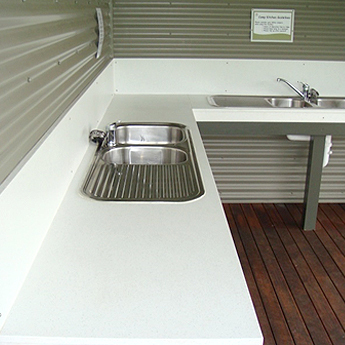 Saniboard is the ideal plastic timber replacement option for products like MDF, Plywood, Marine ply and Laminates. NUVEX® is graffiti resistant, cost-effective, lightweight, easy to handle and is virtually maintenance free. NUVEX® will not rot, break or splinter, like most timber counterparts do and is also mildew and mould resistant. 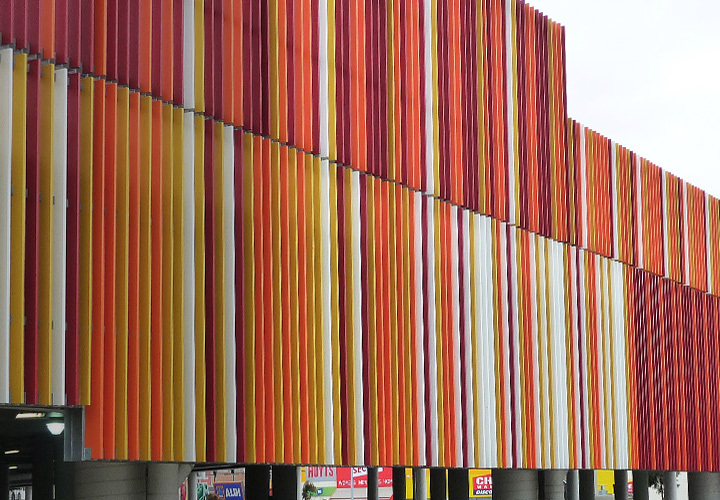 NUVEX® is available in different colours and add value in terms of aesthetics and design flexibility. The NUVEX® plastic locker range is virtually unbreakable. 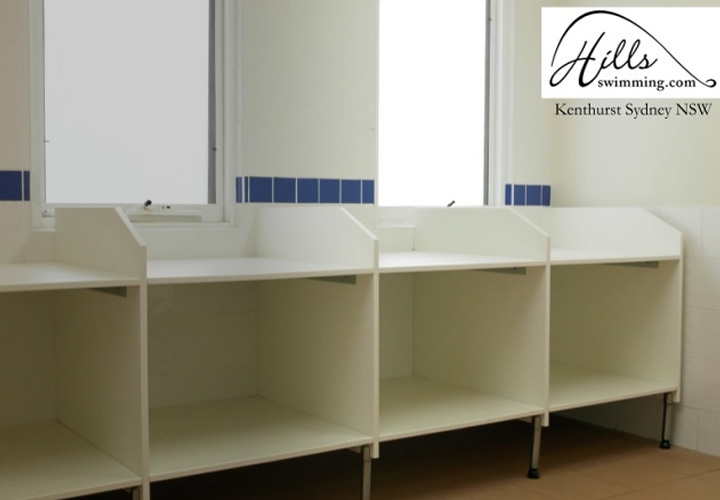 The product provides long term strength and fitment of locking mechanisms for lockers prove robust. 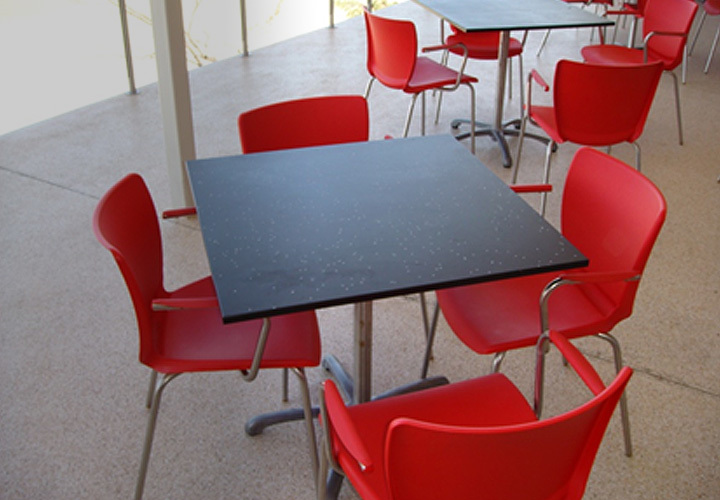 NUVEX® is perfect for any school or public environment prone to abuse, easy to clean and graffiti resistant. 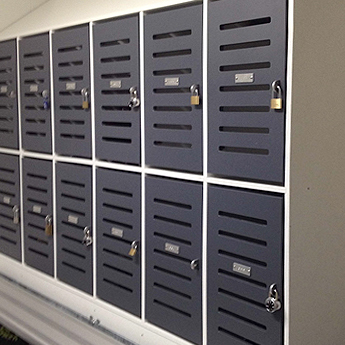 These lockers are impact resistant and will not rust regardless of the environment it is exposed to. Uniboard is a lightweight construction building system made from an enhanced polymer material to replace ply, plywood, MDF and craft wood. Uniboard solid skin provides added rigidity and strength while the foamed core reduces the weight of the material by up to 30% when compared with other water soaked solid materials. Leisureboard - A single coloured UV stabilised polymer specifically developed for the manufacture of innovative, colourful accessories and equipment. 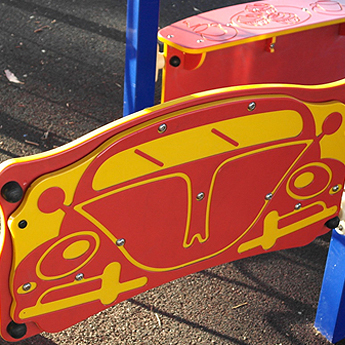 Applications include outdoor benches, playground equipment, wet area furniture and pool grates. Playboard - A co-extruded (two-colour) UV stabilised polymer developed for indoor and outdoor applications where both simple and complex shapes with vibrant colours are desired. 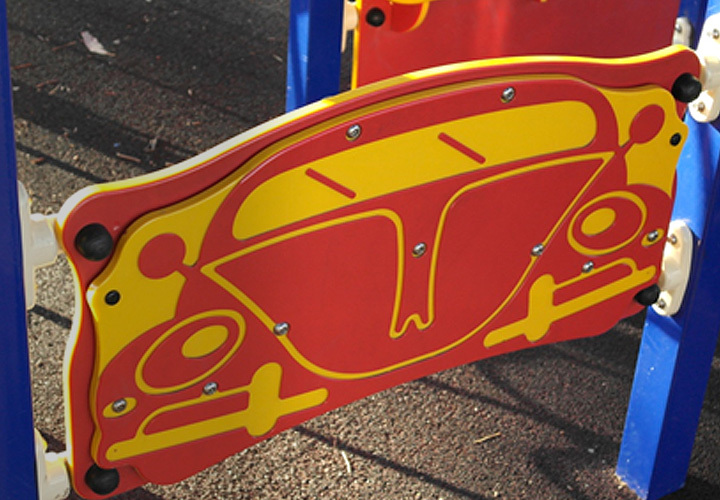 NUVEX® Playboard is commonly used in playground equipment, aquatic centre equipment and for signage. 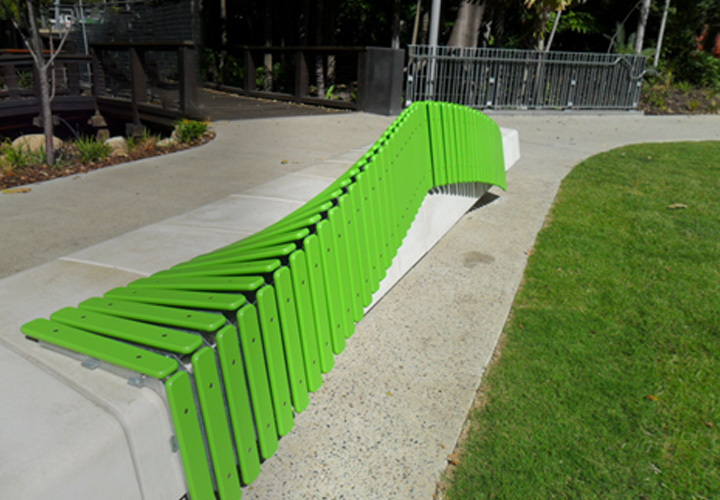 Leisureboard - Incredible designs can be created with this UV resistant all weather products. 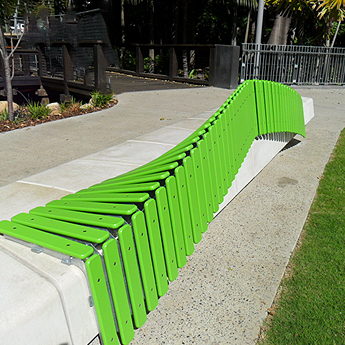 The Liana Lounge pictured below is located in a prime position at Brisbane's South Bank region and still looks great since it's installation over six years ago. Acrylic (Clear and coloured acrylic) Sheets are strong, lightweight, glass-like plastic with excellent outdoor weather ability and optical clarity. Seventeen times stronger than glass, at half the weight, clear acrylic sheets are a safer option as there is less change of breakage. 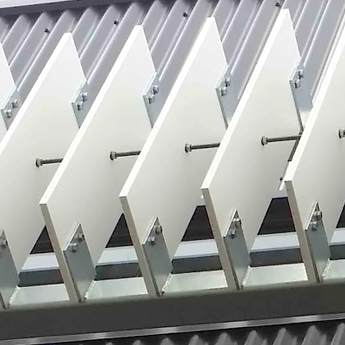 Boatboard & Leisureboard - Window screens or louvres can be manufactured from either Boatboard or Leisureboard as a replacement for aluminium, steel or timber. 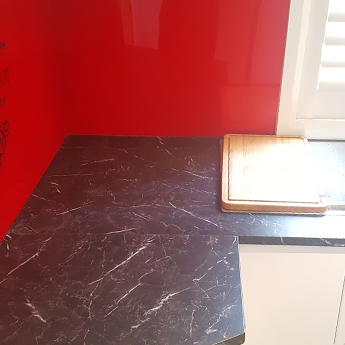 Totally maintenance free in areas where re-painting or cleaning can be quite difficult. Easily pressure washed without the concern for rotting, rusting or any type of corrosion.